September is a special time on Sanibel Island. It’s perfect for couples, romance, and quiet times with friends. The sky becomes a more vibrant shade of blue, the Sanibel summer crowd disappears and the warm breezes and the spectacular sunset are all the excuse you’ll need for a romantic evening beach stroll. 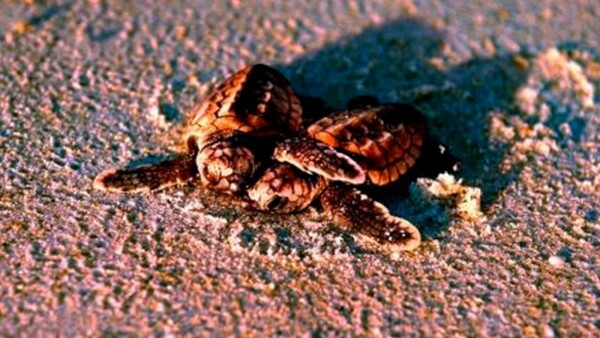 If you’re lucky, you may come across turtle hatchlings as they emerge from their nests to begin a life at sea. Fall colors on the island are displayed in the sunsets. Toward the end of the month, Grammy award winning Country Music stars arrive in the area to serenade residents and guests. Many of the events are free and all are open to the public. Read on for more information. It’s the perfect time to stroll the beach and discover the seashells that make Sanibel Island a world-famous destination. Each wave brings with it new and different treasures. Shelling is best at low tide, but who needs a reason to walk the beach? A walk by the shore is a wonderful way to spend some time and reconnect with your special someone or group of friends. Strolling the beach, a perfect way to spend the day. Sanibel Island is often thought of as a great family destination or seasonal rental location. Recently we are becoming a sought-out destination for couples looking for a romantic place to get engaged, tie the knot or renew their vows. Many people recall coming to Sanibel as a child and the happy memories call them back as an adult to recapture those memories and begin making their own. 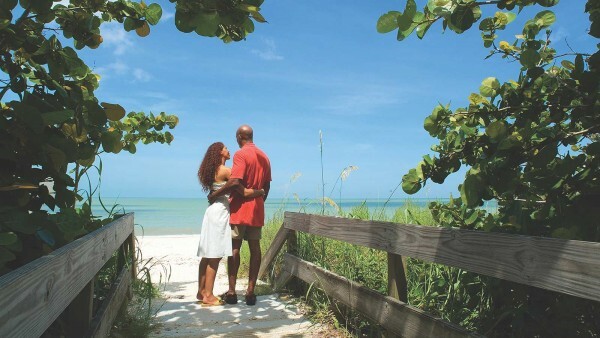 Sanibel Island is a romantic place to pop-the-question or rekindle your romance. When the urge to get on the water hits, choose from kayaks, stand up paddleboards or motorized watercraft. We have protected waters to explore or you can head out to the Gulf. The bay side of the island will provide you with the most wildlife sightings. You’ll see manatees, all types of water birds, dolphins, and a large variety of fish. 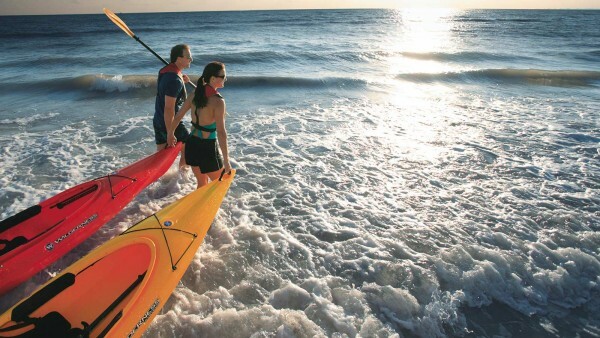 It’s a great way to explore Sanibel Island and Captiva Island. Get a different perspective of the islands from the water. A favorite evening pastime is watching the sunset. You can do this from your screened-in lanai, if you are staying in one of our Sanibel Island beachfront rentals, or bring chairs to the beach and watch the sun sink into the Gulf. Each sunset is unique and is always an awe-inspiring way to end the day. Bring your favorite beverage to the beach and toast this evening event. Create your own evening Sanibel sunset celebration. In the spring, sea turtles arrive on Sanibel’s beaches to dig their nests and lay their eggs. In September the hatchlings emerge from the nests and scurry to the sea to begin their lives. The turtles are the reason beachfront guests are asked to close their drapes, remove debris and fill in holes on the beach, and keep exterior lights shaded away from the beach at night. When the baby turtles hatch, they use the light of the moon and stars reflecting off the water as their guide back to the water. Lights from human activity confuse them. They travel in the wrong direction and the outcome can be fatal to them. If you are lucky, you may witness a nest hatch. Please watch from a distance. It’s an experience you won’t forget. 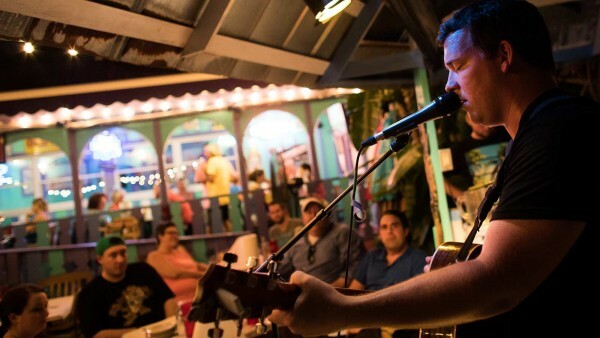 The weekend of September 22nd the Fourth Annual Island Hopper Songwriters Festival comes to Captiva Island. It moves to downtown Fort Myers during the week and finishes on Fort Myers Beach Sunday, October 1. Give Island Vacations a call. We have a limited number of properties that can accommodate the unusual stay schedule. Call early to before they are booked. These reservations must be made by phone – 1-800=451-7277. This gathering of Grammy Award Award-winning country music songwriters is a must see for country fans. Most shows are free. You just walk from venue to venue listening to these talented singer/songwriters and enjoy the stories they share that lead up to the song’s creation! It’s becoming known as one of the best events in Southwest Florida. Brian Sutherland performs at last year’s Island Hopper. Casual dress is a must! 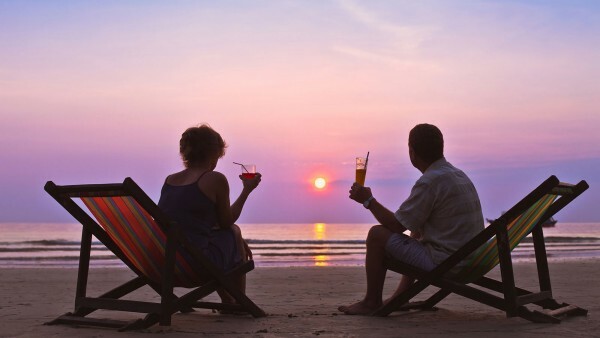 Sanibel Island in September is a perfect destination for couples looking for a romantic getaway, a quiet, relaxing stay or time with friends. Wrap up your September stay with a weekend of award winning musicians. Visit us in September for a different type of Island Vacation experience.